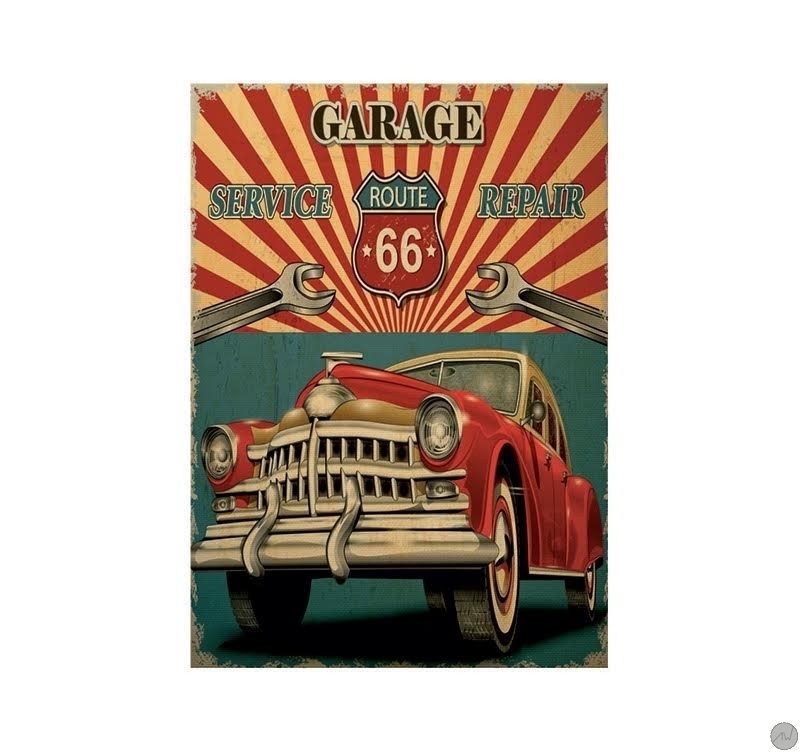 A touch of retro for your home decoration with this discount canvas ! The dimensions of this design canvas are 50 X 70cm. 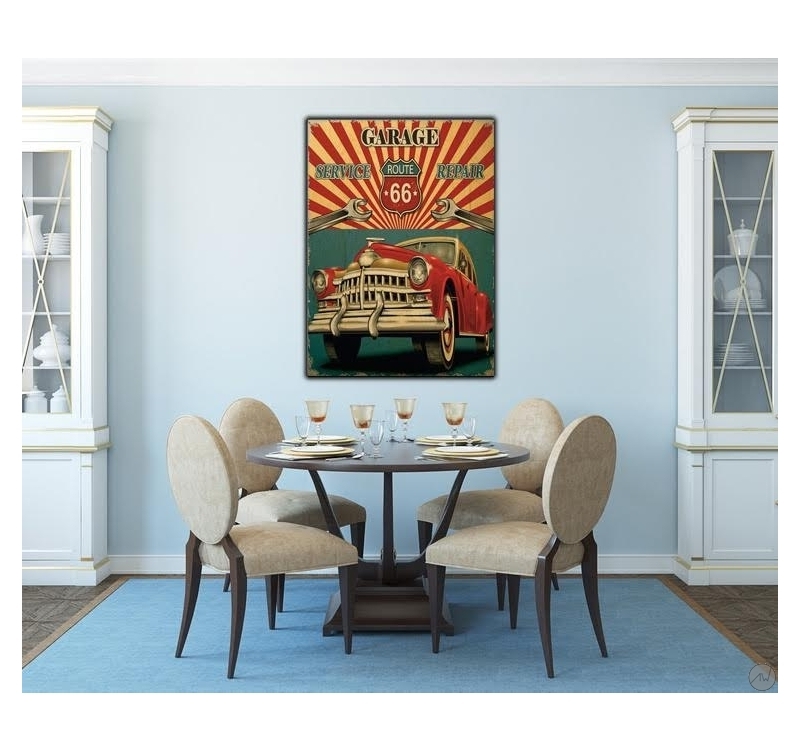 Free 48/72h delivery in metropolitan France for this decorative canvas. 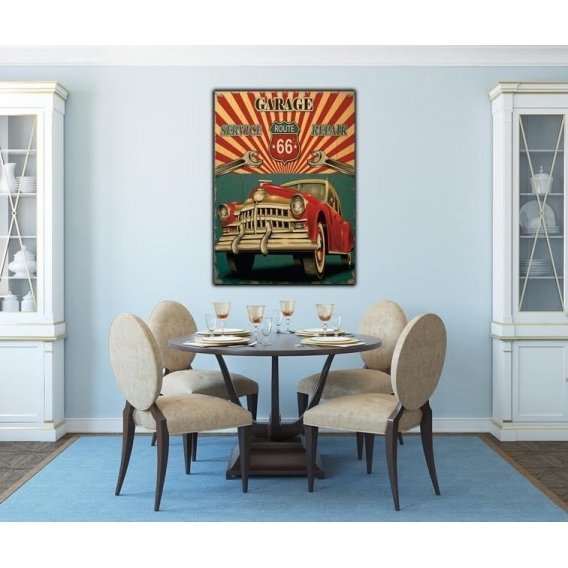 If you want to create a vintage ambiance in your decoration, this trendy canvas is what you need ! 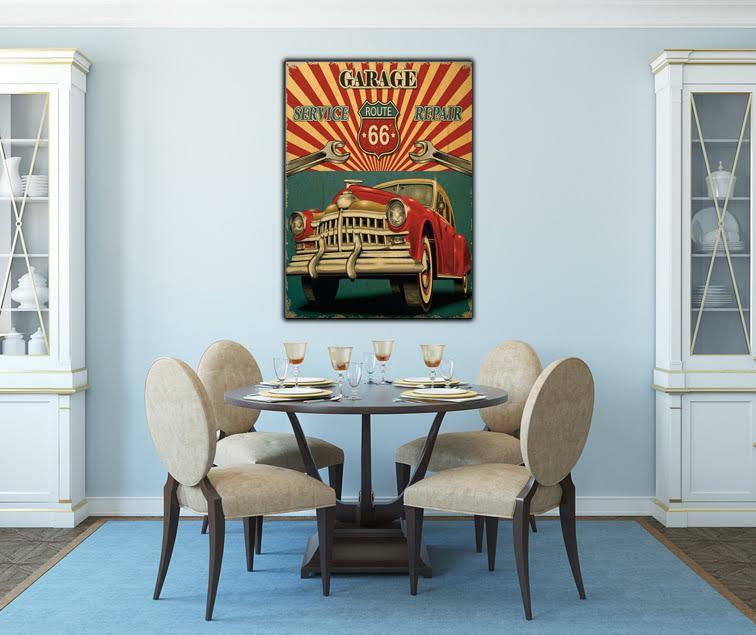 The famous route 66 invites you with this discount wall decoration… An old car and an old look are the master words of this vintage canvas that will fit in perfectly on one of your walls. All our photo canvasses in this category are printed on a cotton canvass and stretched on a Canadian pinewood frame so the picture is ready-to-hang. The photos are delivered wrapped and with cardboard corners. 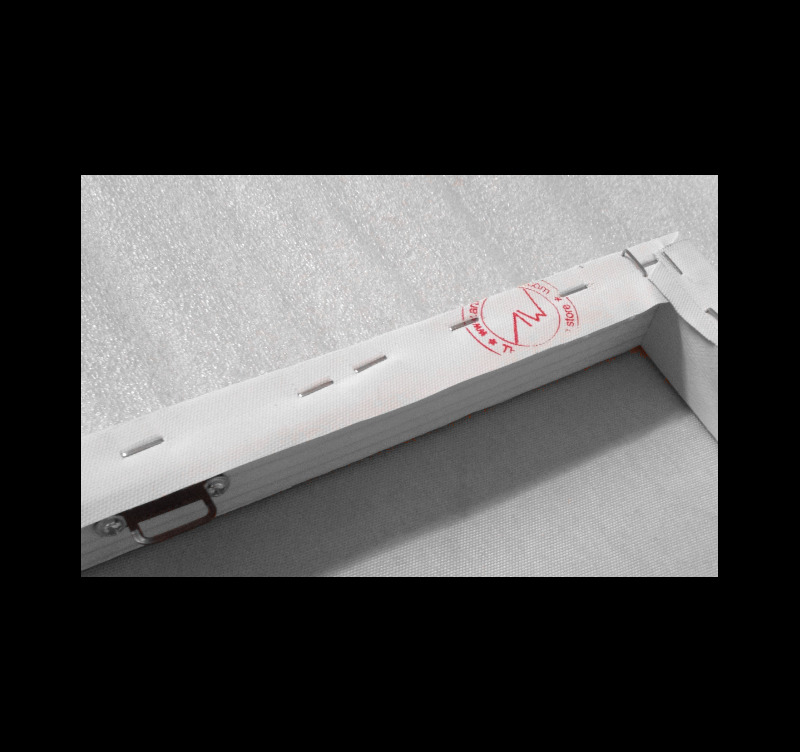 All the contemporary canvasses are anti-UV and anti-damp treated to ensure a better finish and a long-lasting quality.